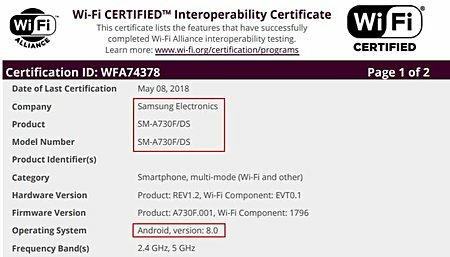 The Samsung Galaxy A8 (2018) and A8+ (2018) have been spotted on the website of Wi-Fi Alliance. 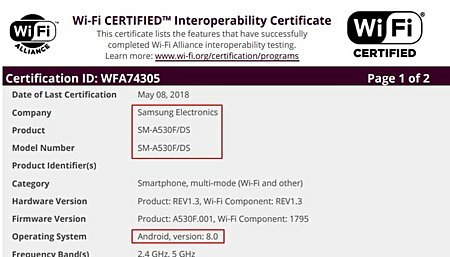 What's news-worthy here is the 'operating system' entry in the certifications shows Android version as 8.0. That's good news as it means the Oreo update for these devices is in the final stages before roll out. Sadly, it's difficult to predict exactly when Samsung will begin pushing the update, but it's reasonable to assume it isn't far now. My C9 Pro is still on August 2017 update patch... This is my first samsung and will be my last. My next phone gonna be nokia or asus.